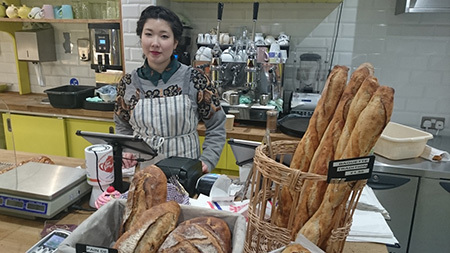 After running an authentic French bakery of the same name in Paris for 20 years, the owners have upped sticks and now make their collection of beautifully presented pâtisserie and breads on site in west London. 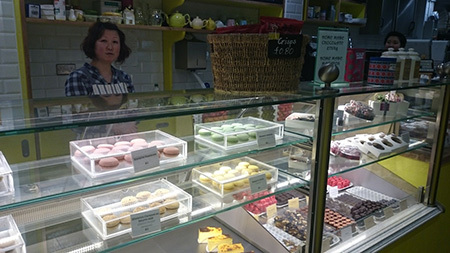 Patisserie St Anne is a beautiful looking patisserie shop and needed an elegant looking EPOS system to fit in with the décor and not take up too much space. 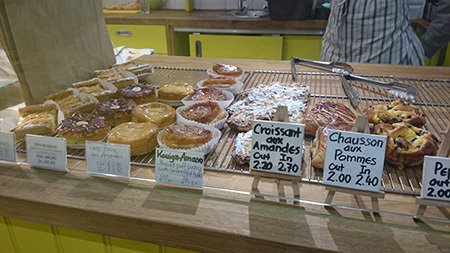 It also needed to be easy to use so the owners could concentrate on making their excellent bread and patisserie and not on the EPOS. AlfaRichi EPOS was recommended by the owner of a chain of bakery and coffee shops who had already used the same system. 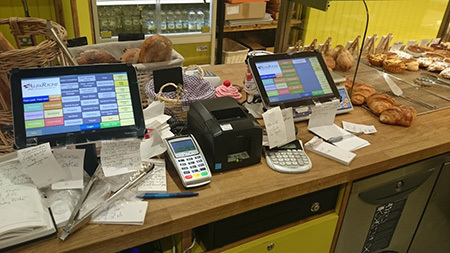 The hardware consists of 2 Toshiba 10.1″ Android tablets which work with a single STAR TSP654 network receipt printer and cash drawer — all supplied and installed by AlfaRichi. AlfaRichi AlfaPoint software is running on each of the tablets and the customer uses AlfaLine cloud back office to see real time sales data and to update products and prices — often making daily changes to take account of special products.